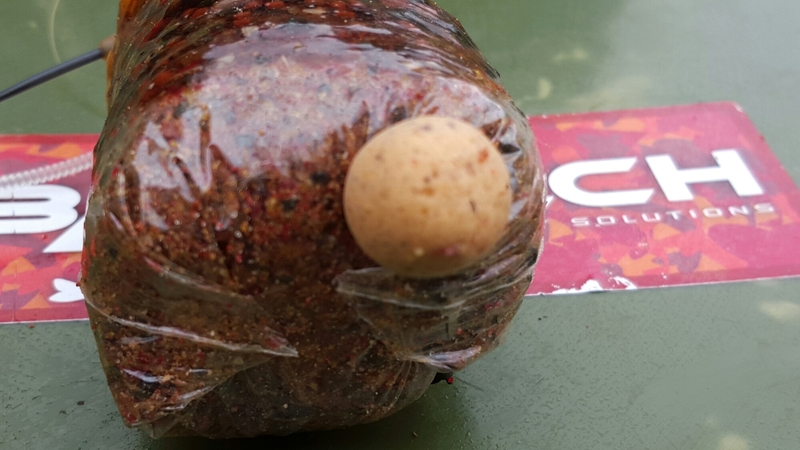 I like to use bags a lot in my fishing and I use Godman Angling PVA. 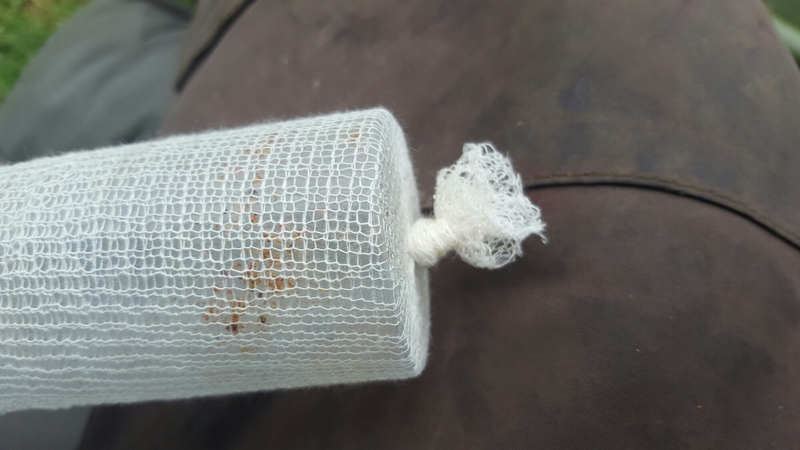 I have found them to be the best quality available, not just their bags and mesh, they have a couple of very innovative ideas, as well. 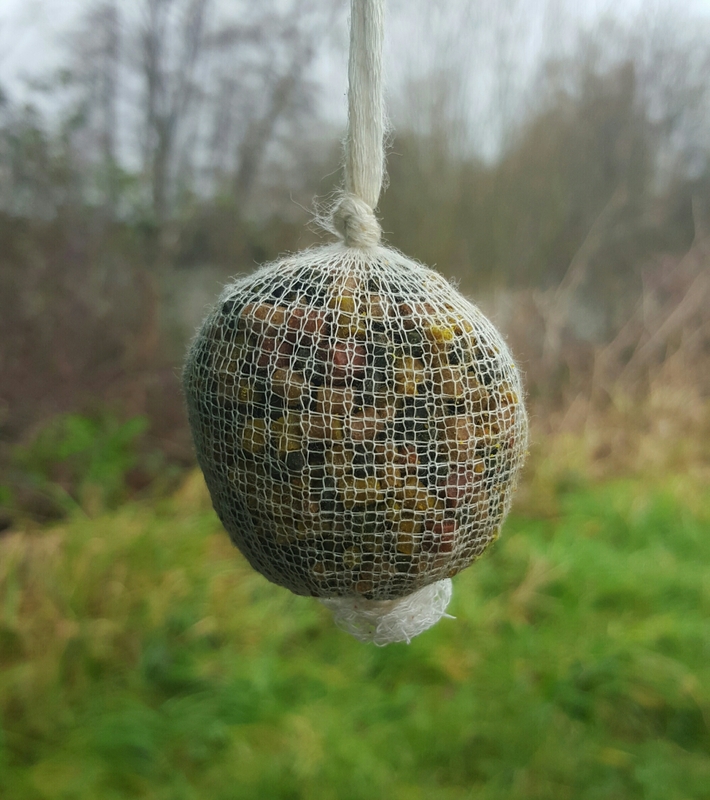 The standard set up for a pva bag is a short hook link neatly tucked in the bag. 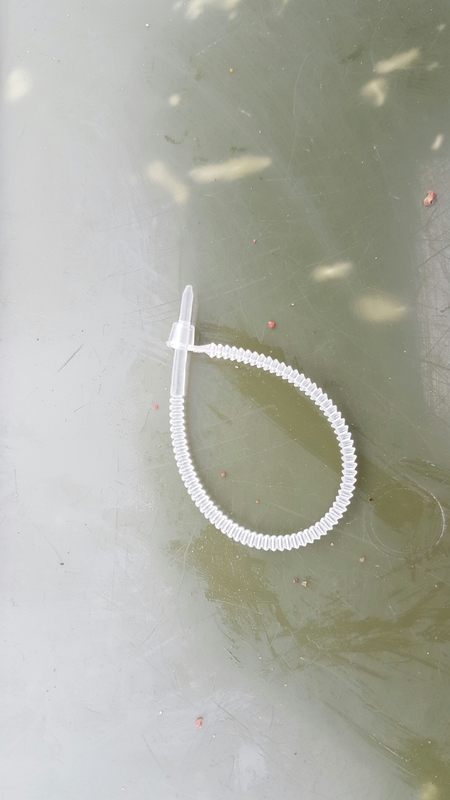 However, over the years I have played around with different lengths of hook link and started to have them outside of the bag with the hook hidden under one of the corners which I fold over. 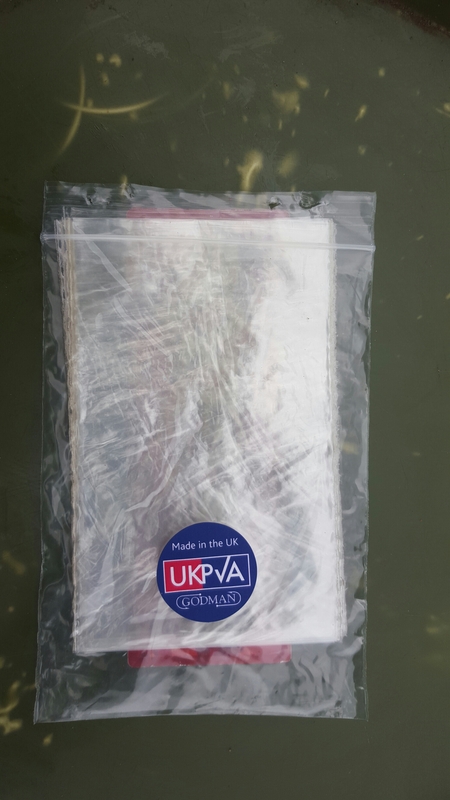 If necessary I wrap some pva tape around the bag as well. I also use a safety rig set up, unless I am range fishing and then I would use a helicopter rig. 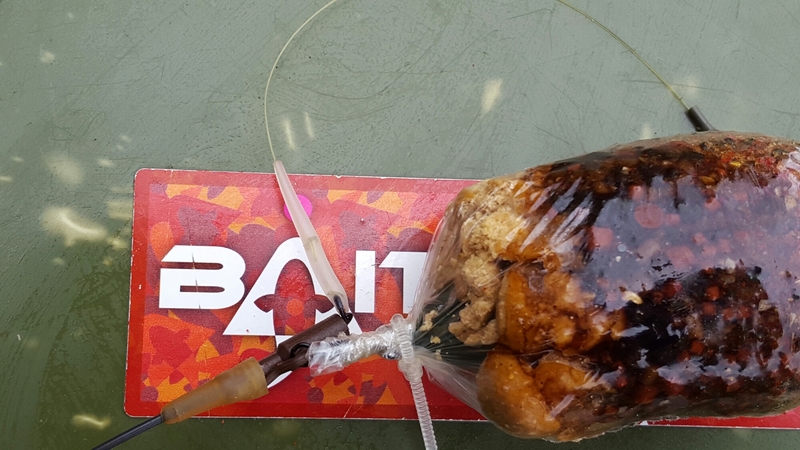 A- add pellet and groundbait soaked in Krill & Tuna oil. 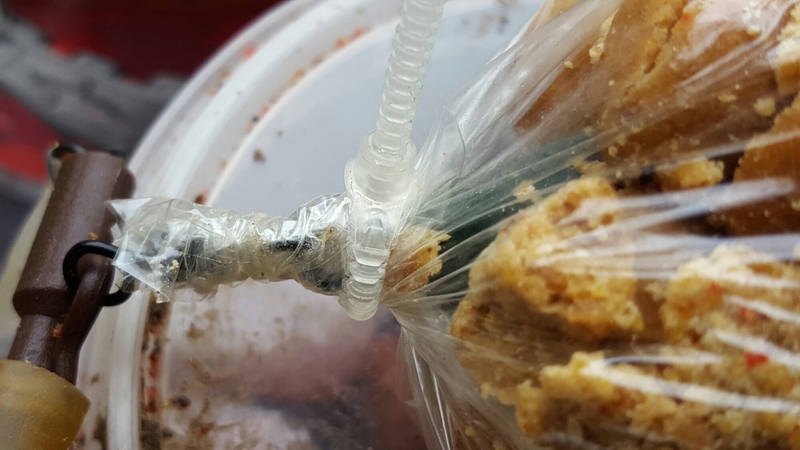 D- Place the lead in the top of the bag and damp the inner top part of the bag a little and twist around. For an under arm flick this is fine. 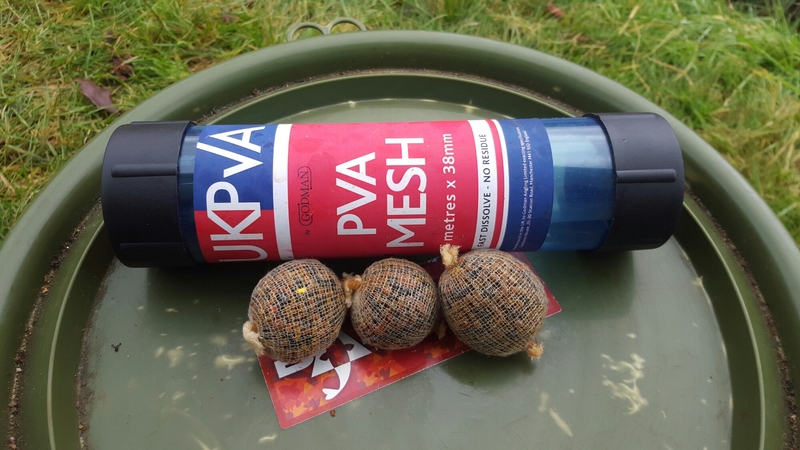 If some distance is required then I would use a PVA Solu-tie around the top as well. And tighten it down, trim off the excess. E- fold the bottom corner and hide the hook point underneath. 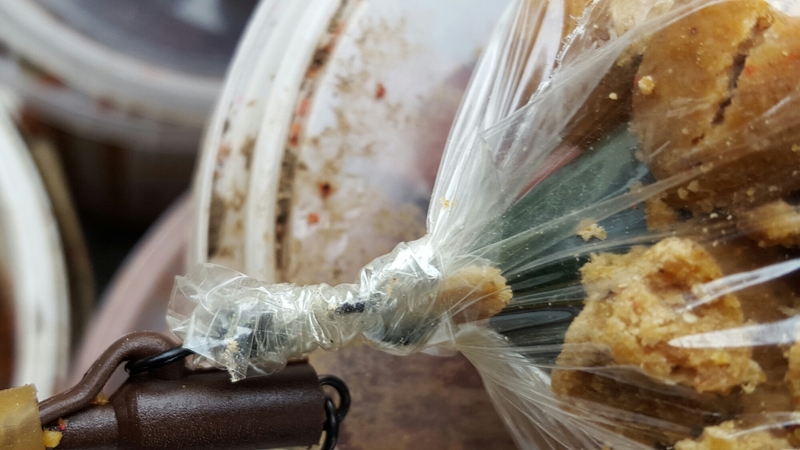 If necessary, you can have the line close to the bag by making sure the solu-tie is over your line or just simply wrap some pva tape around the bag. I have been using this method successfully for many years. 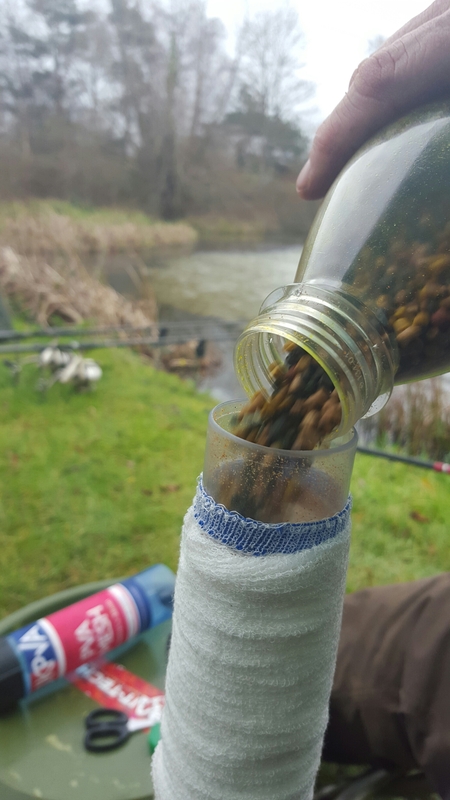 I also use mesh bag’s especially in my margin fishing. 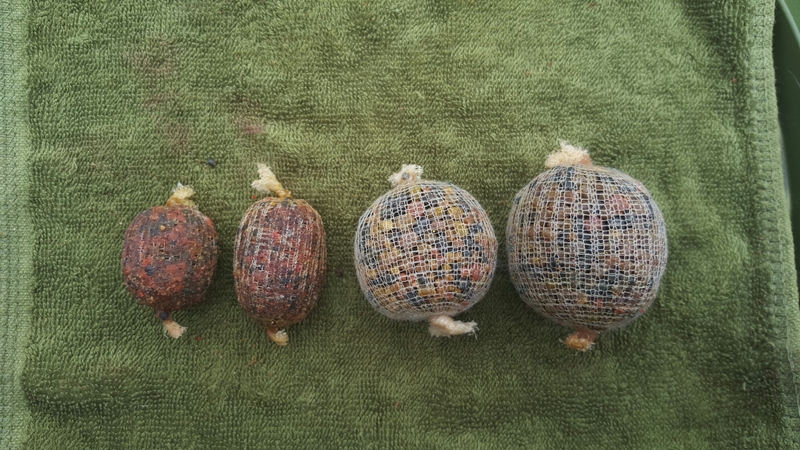 The mesh bags I use, they range from tiny grape size, up to and beyond orange size – it depends on the fishing situation. 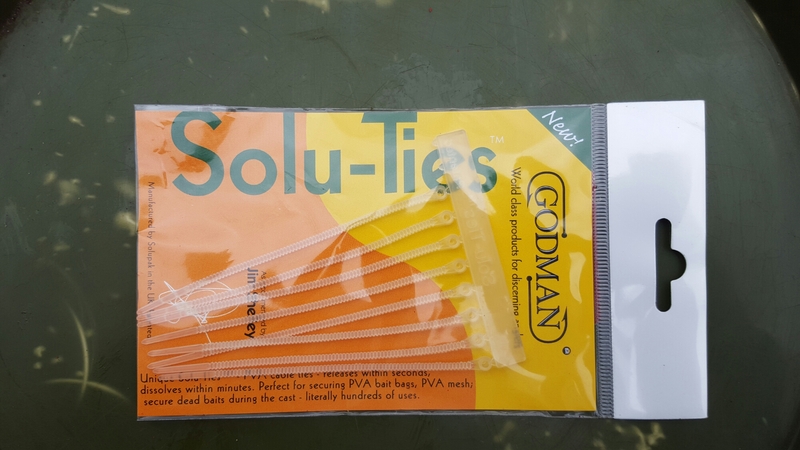 Godman Angling have two sizes of mesh 25 mm/38 mm, but depending of how long a length you use, the bigger the ball you can make. 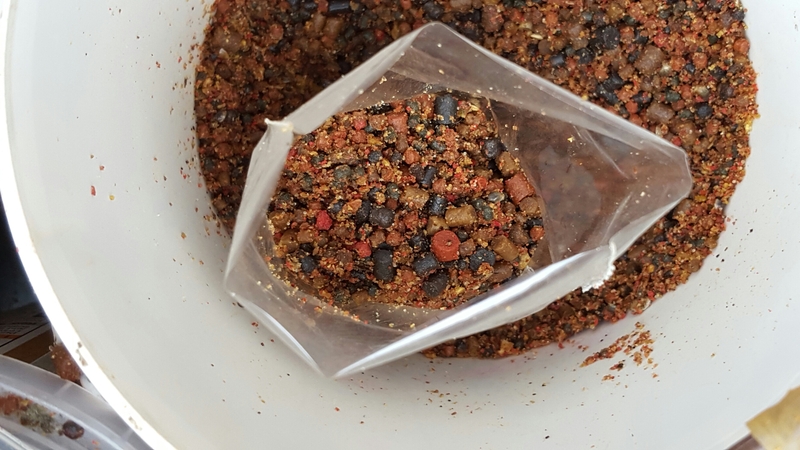 C- add the pellets/ground bait-mix of your choice. Push down with a plunger. 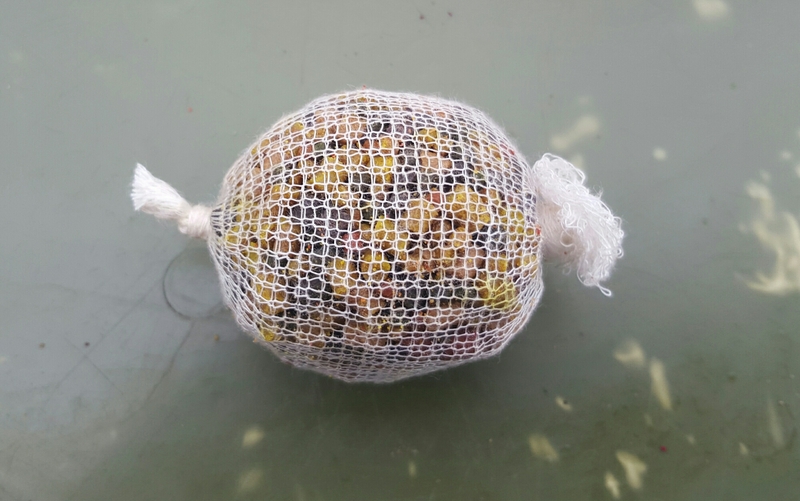 I tend to mould the bag with my hands into a ball. D- tye a knot in the other end, as tight as possible. E- cut off excess, as close as possible to the knot is always best. F- add some more liquid if you like, after hooking on to the hook. 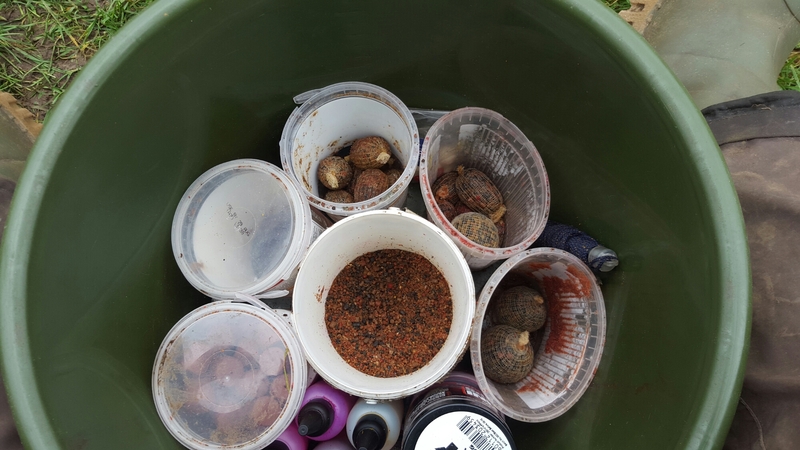 My bait bucket is full of tubs with different size mesh bag’s made up already and soaking different oils. 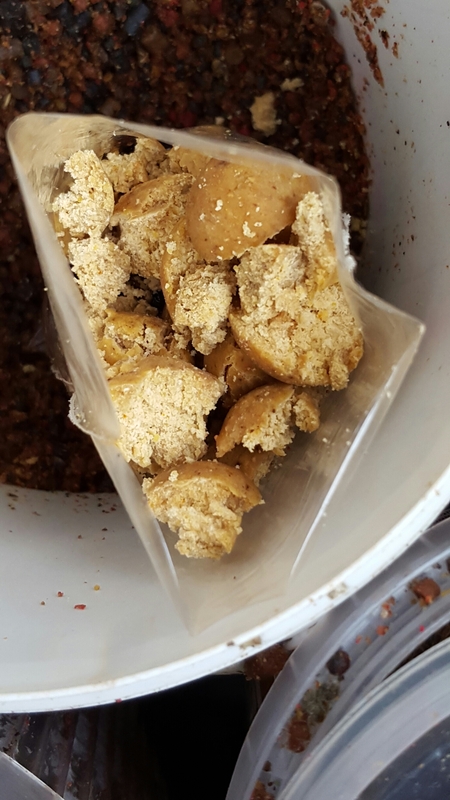 And also with the raw ingredients to make more as and when required. 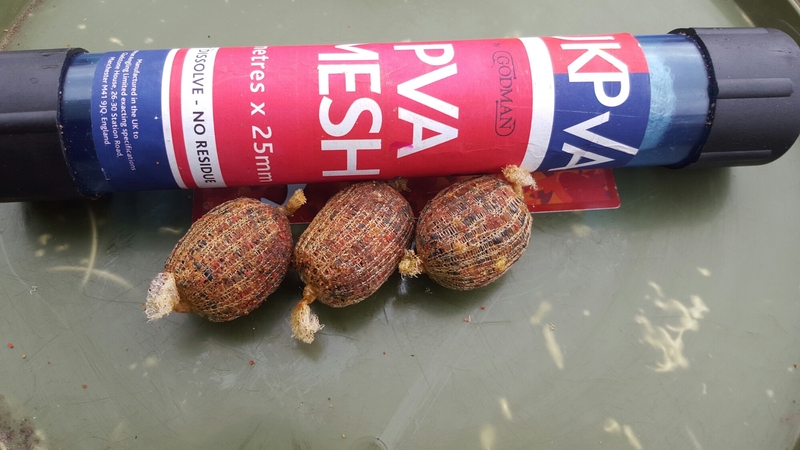 These PVA tubes have so many innovative ideas and twists, which will give you the upper hand over other anglers. 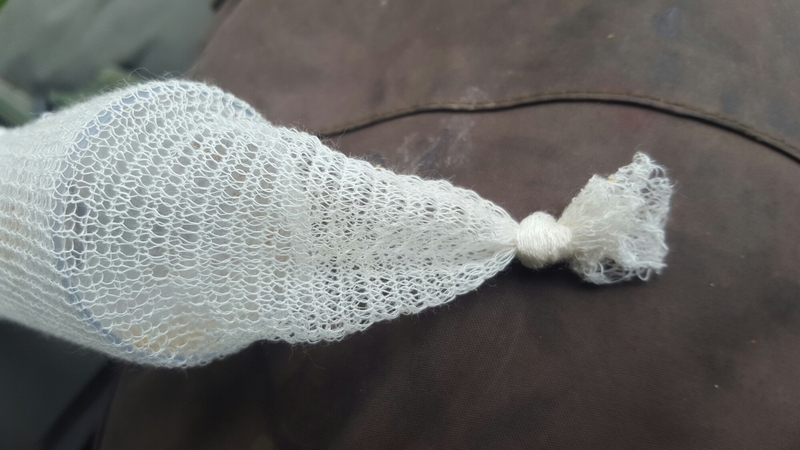 One of the things I have found very affective, in my short margin sessions, is to add oil and then fix around the hook bait. 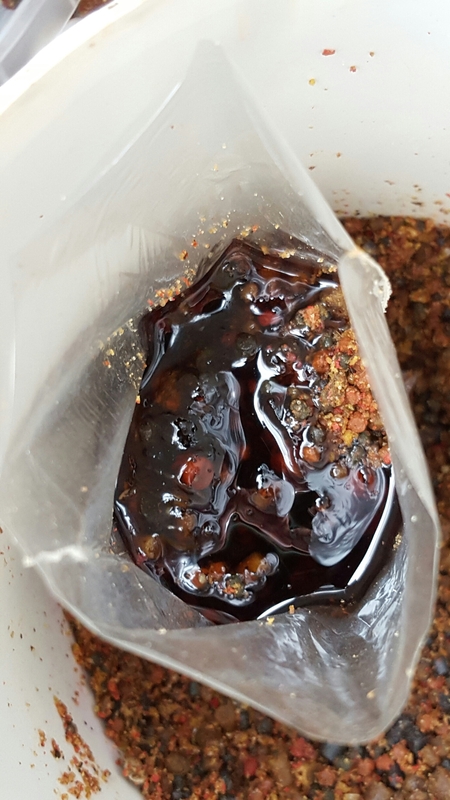 The best way to get the oil into this is by using a syringe. 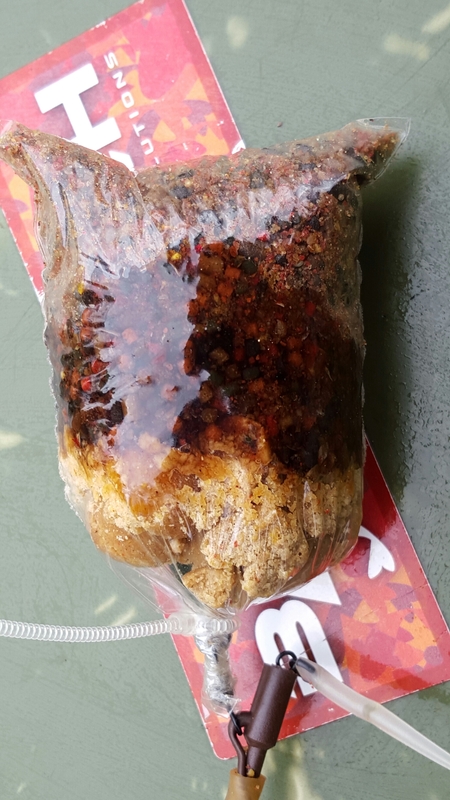 and the end result, a very appetising hook bait. 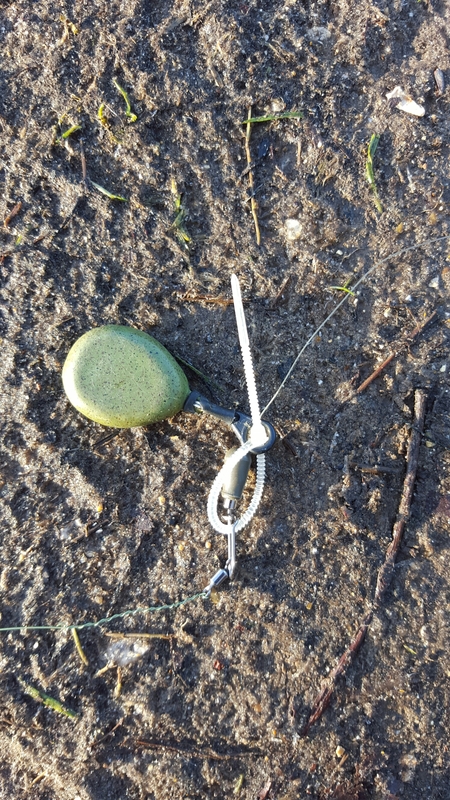 The other great use of these, is to have them as part of your hook link, as you can change supple hook link into a stiff link rig when you cast out. This gives you and amazing edge over other anglers on the presentation front. 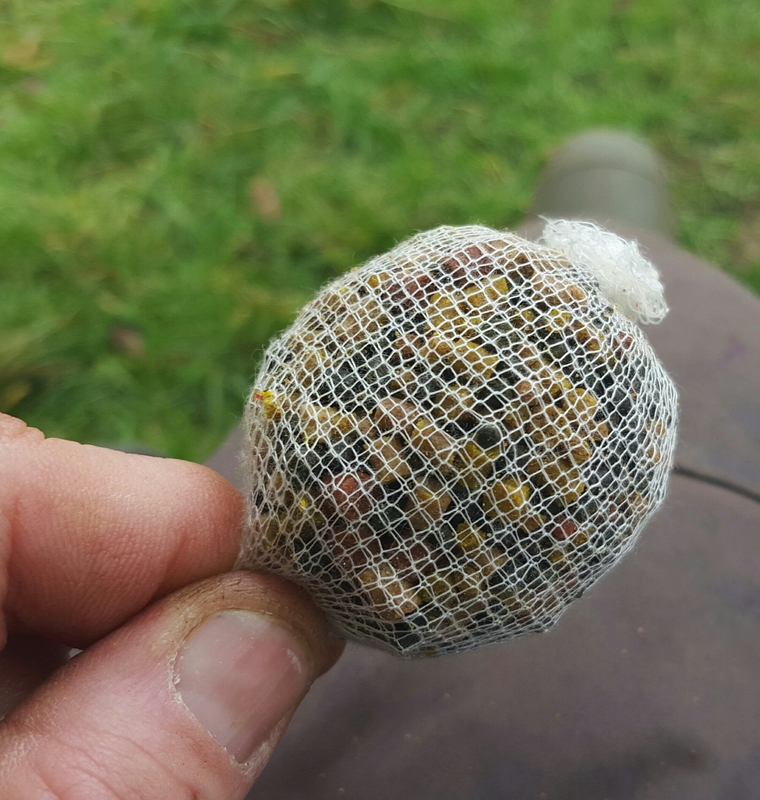 The most popular use for these is on pva bags. 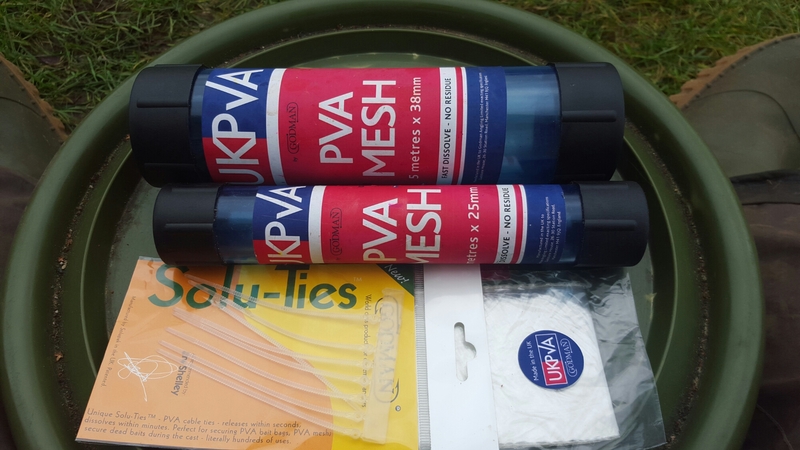 I have been using them when I am Pike fishing and don’t want the running lead flying back up the line when I am range fishing. This I have found to work perfectly.